Matt Hilton Thrills: Apocalypse Noo - the back story. Regular visitors to my blog will already know that apart from the Joe Hunter books, I occasionally enjoy dipping into the medium of the short story. Usually when doing so, I tend to also dip into genres not necessarily associated with a thriller author. You can read samples of my out put via the sidebar where there are links to some of the shorts I've posted on the web. They range from gritty crime, to humorous crime, to horror, to ghost or weird tales. Some are even thrillers. One of the worst kept secrets associated with me is that I occasionally write under the pseudonym of Vallon Jackson. My reason for doing that is to keep my other writing distinct from my Joe Hunter books so that there is no reader confusion. Well...in my guise of Vallon Jackson I was approached by an old friend of mine - under his pseudonym of Remy Porter - to submit a short story to an anthology. 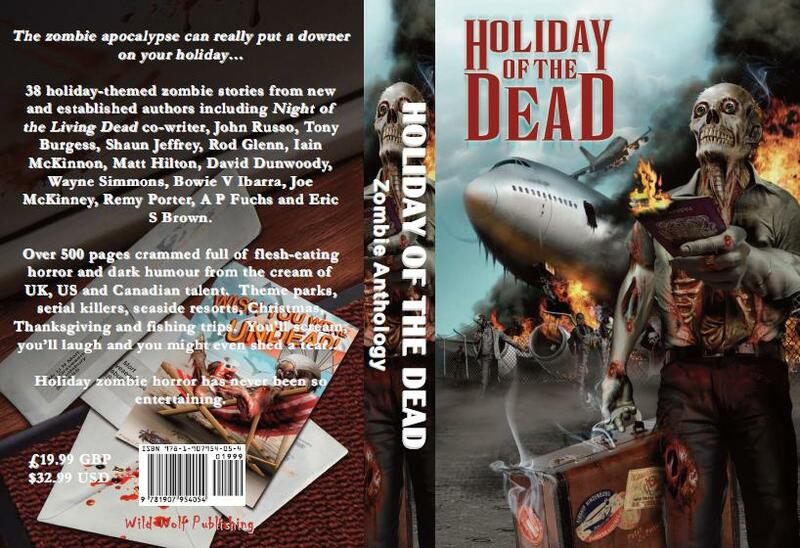 The catch was the story was to be written to a specific brief, that of a zombie story set against the backdrop of a holiday destination or theme. 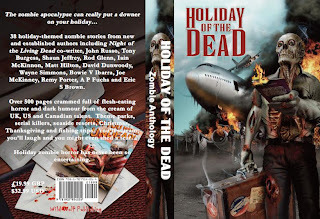 I'm not known for writing about the Risen Dead, but had recently read another anthology (The New Dead aka Zombie) on just such a subject and found it to be good fun. Coupled with that I'd just watched a few movies - Carriers, The Crazies, The Andromeda Strain - dealing with apocalyptical plagues, as well as the TV series The Walking Dead, and thought: "Why the hell not?" My story might be different than others in the upcoming anthology, with a different feel - I'm not that well read in the genre (although Dead Beat by Remy Porter did make its way in to my hands last year and proved to be a great read) - but I hope you will enjoy it. It's called APOCALYPSE NOO. Some people have been wondering about my pen name, and why it came about. Here's a clue: my parents are Val and Jack, and I'm their son. Easy when you think about it. Looking forward to it, Matt. It'll be a better read for me as well, knowing the area where it's based. Like the way you came up with the name.